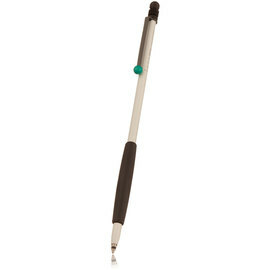 A de Luxe chrome version of the popular slim Tombow Zoom 707 ball pen and pencil. 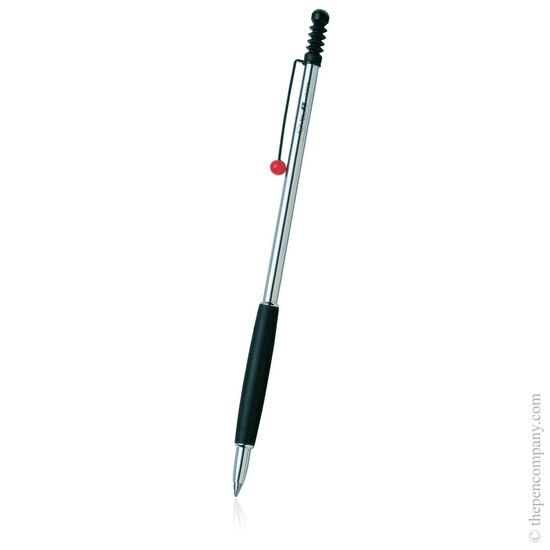 The shiny chrome is contrasted by the black rubber grip and the red ball detail on the clip. Available as ball pen and 0.5mm mechanical pencil. This is a pen to acquire for its looks. It's small: five and a half inches long and only a quarter of an inch wide at the grip. So it will easily slip into the binding of a spiral notebook for example. A general instruction leaflet is included that doesn't cover this model. By experiment I have found the way to change refills: twist the ball to advance the nib, unscrew the cap at the nib end, pull out the spent refill, push in a new one and reverse the procedure. Not an instrument for prolonged writing, but excellent for note-taking.